Congratulations on your decision to adopt a kitty cat! Choosing the right companion is a big step, but is lots of fun and the results are very rewarding. 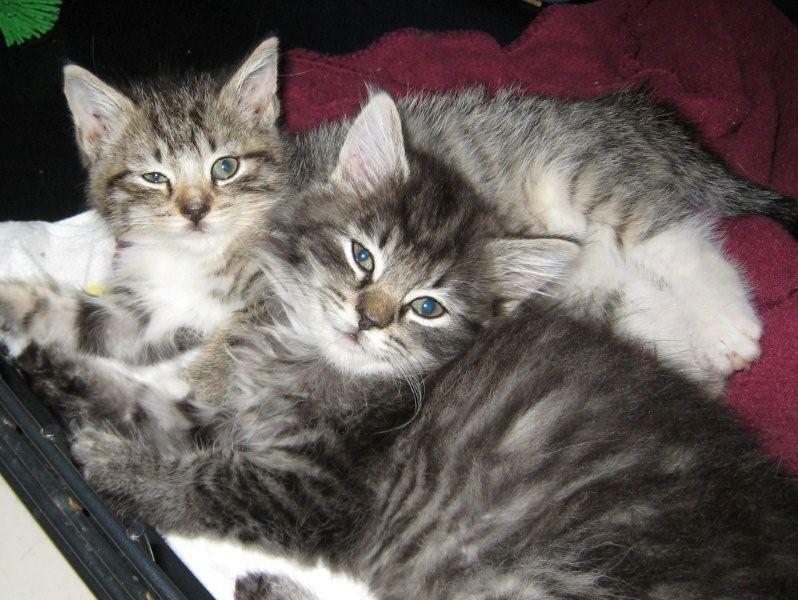 We have found that kitten adoptions have a much higher success rate when they are adopted as pairs or into a home that already has another young kitty. If you have decided to adopt a kitten, consider getting two. This can actually be less work for you, because the kittens will expend much of their youthful energy and aggression on each other. The companionship will make for more well-adjusted pets. Two kittens are easier to care for. Here are 10 reasons to adopt a pair. – Fewer behavior problems with two kittens. Cats that have a playmate tend to be more socially well-adjusted and avoid behavior problems like shyness, biting, hissing, being frightened and hiding in the company of people they don’t know. – One kitten can become lonely. If you work long hours or travel for a weekend, two cats keep each other company and are more tranquil during your absence. – Peace of mind for you. You can rest easy at work or on vacation knowing your cats have each other’s company. – Two kittens will self-train. 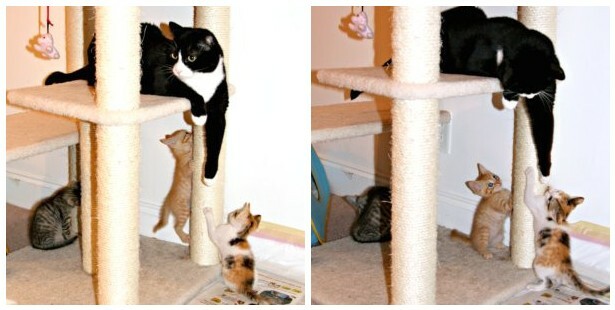 Kittens learn by copying. If one kitten is quick to learn appropriate litter box use, the other will be likely to copy. They also help each other with grooming; wash-up after meals soon becomes a ritual with 2 kittens. – They help each other burn off energy. A pair of kittens will entertain each other in the wee hours of the night, allowing you a full night’s rest. No one can play with a kitten like another kitten can! – Two cats stay healthy together. 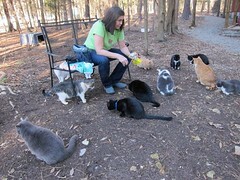 As they get older, cats are less likely to gain weight due to lack of movement when they have a companion to play with. They will remain more playful and youthful in later years with a companion. 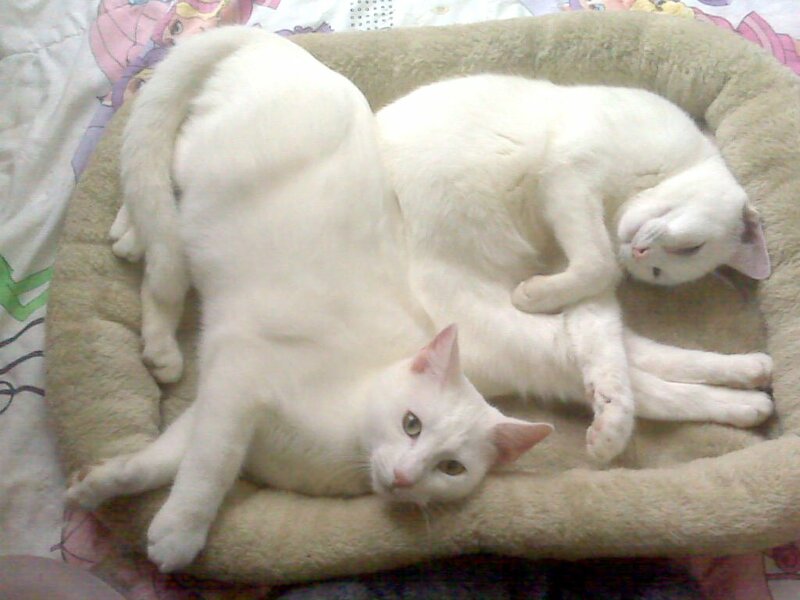 – The workload to care for two cats remains relatively the same. – Having two kittens provides endless hours of fun. – They will each have a friend for life. – You are saving two lives instead of one. Of course it depends on the established cat’s personality, but in our experience, we find that many adult cats’ patience can run thin when a kitten wants to play! Though it might sound contrary, an older, established cat will probably accept two kittens better than one. One kitten will seek out the older cat as a playmate, or worse, tease and pester the senior cat which can cause stress to an older cat. The kitten in return, will be “rewarded” for his playful efforts with hisses and swats. Two kittens will expend their energy in play with each other, leaving their older “uncle” to relax in peace. What if I can only afford one cat? Vet bills are probably the main difference in expenses between having 1 cat versus 2. If you can only afford one cat, we have many young adult cats that would do fine in a single-cat home. We also have cats that would be happier in a home where they don’t have to share! Ask our staff and volunteers to introduce you to them when you visit. The next step is to fill out the adoption application on our website. All applications will be reviewed by the refuge staff. The refuge will contact the interested party to set up a home visit. Only after a member of the refuge has visited the applicant’s home will they consider continuing with the adoption process. Once a home is considered safe for our cats, the applicant pays a tax-deductible adoption fee of $100 per cat. This fee covers the spaying/ neutering, testing and all vaccinations that ensure the cat lives a healthy and happy life with their new owner. « Caffe Italiano: A Sneak Peek!